A long, long time ago a little mouse was playing and messing around. 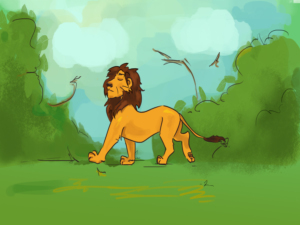 He was making a lot of noise and all of a sudden he woke up the lion, the king of the animals. 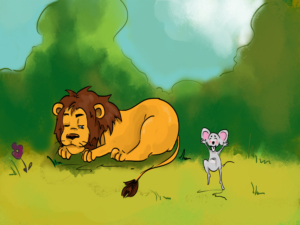 “How dare you wake me up?” the lion roared, "I'm going to eat you all up!” And with that he placed his big paw upon the mouse’s tiny body, so that the poor frightened little mouse couldn’t move. “Please, forgive me, oh, King of the animals! I didn’t mean to wake you up. I was just playing! 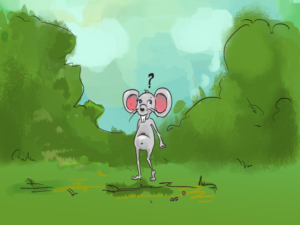 If you let me go now, maybe I can help you one day!” the mouse squeaked. 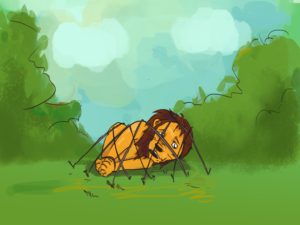 A few months later the lion was prowling around, taking care of his majestic duties, when he got caught in a trap. He struggled to get free, but the more he tried to free himself, the more he got tangled in the net. Luckily, the same little mouse was passing by and saw what had happened. 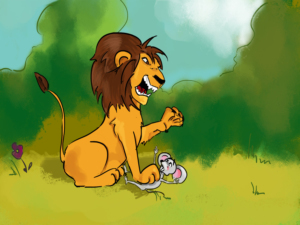 The king of the animals was in trouble! 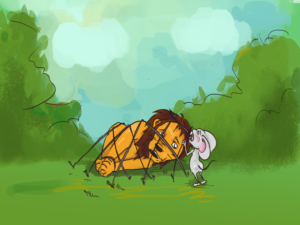 Happy to finally be able to help the lion, the mouse rushed to his aid and started gnawing through the ropes. 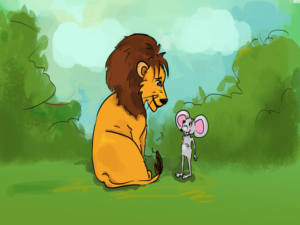 “I didn’t believe you would be able to help me, but I was wrong," said the lion, when he was set free by the little mouse. 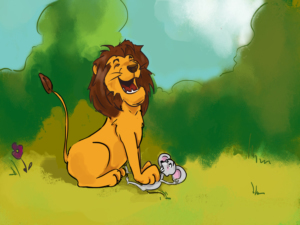 From that day on, the lion and the mouse became good friends.